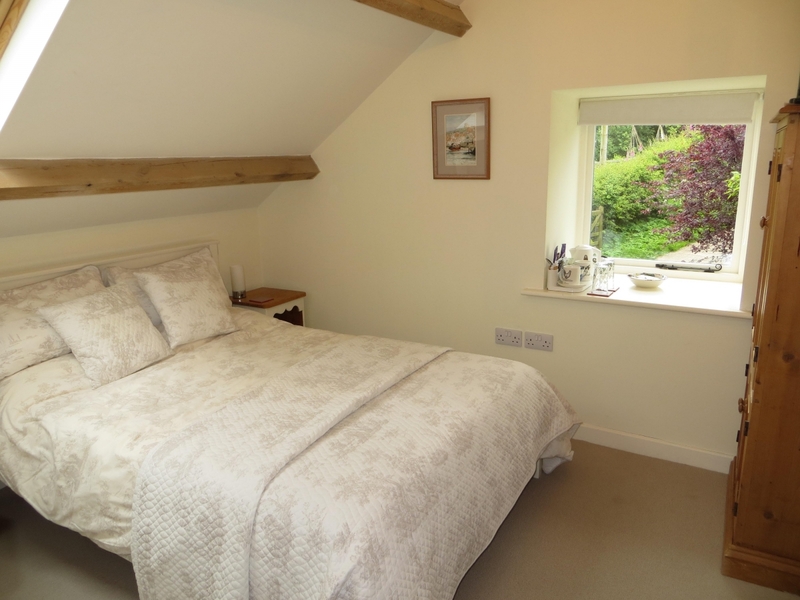 This double bedroom is on the first floor and has a purpose designed en-suite shower room. It has a window view towards our vegetable garden, and it is possible to see a view of Robin Hood's Bay from its Velux roof window. The shower room has a view to the field behind the house. 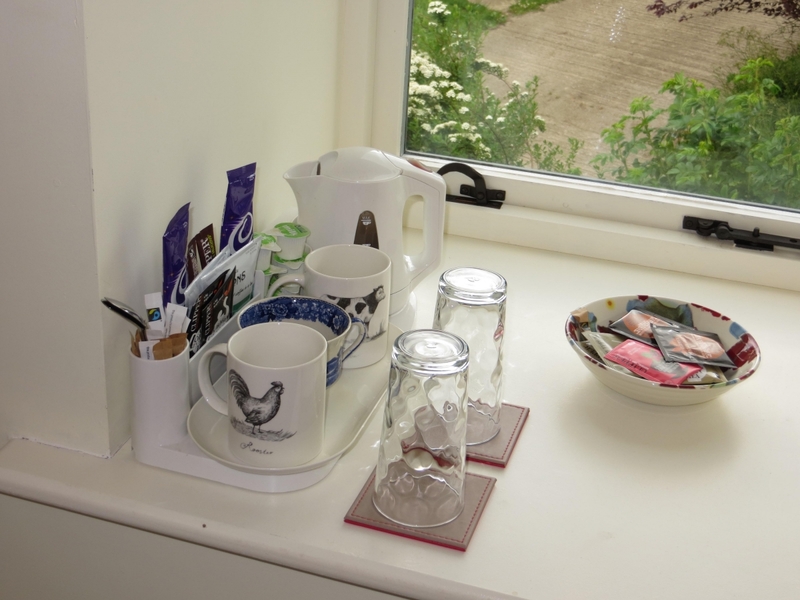 Its facilities include television with freesat, hospitality tray with homemade cookies, hairdryer, independently controlled heating, etc.. Toiletries are provided in the shower room, which has a shower enclosure, w.c., basin, further heater and heated towel rail, mirror & shaver point. Guests have full use of the breakfast/sitting room throughout their stay. 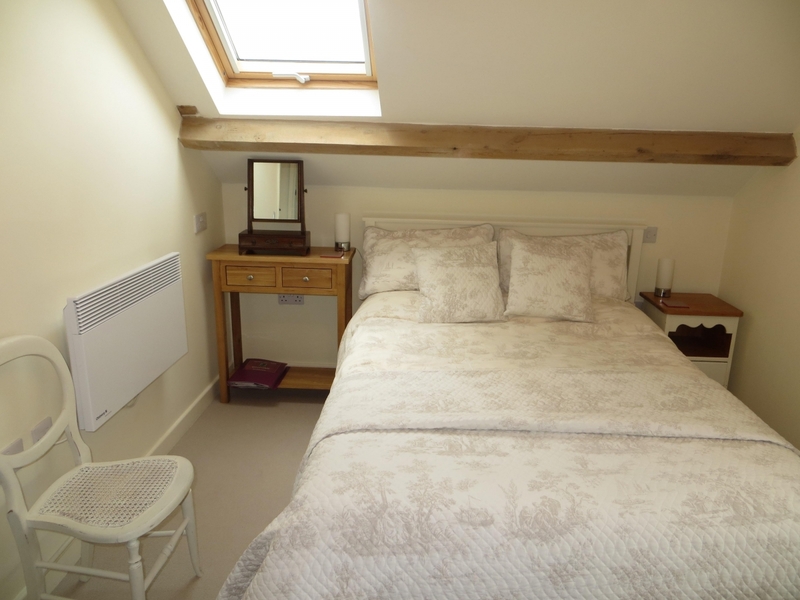 The price of this room is £90 per night for two people sharing, to include full breakfast. Please use the calendar below to check our current availability & pricing and to book your stay at Skerry Hall Farm online. The calendar updates automatically when bookings are made, and any telephone bookings we receive are entered immediately on the same calendar, so you are assured that rooms shown in green as available have not already been taken.